The quick detach feature makes the Weaver Lever-Lok 1 in. Medium Top Mount Scope Rings an ideal choice for the serious hunter on the go. This durable, reliable ring easily detaches and re-mounts without tools so you can protect your optics while traveling to your next hunt. The reliable Weaver cross lock design allows for secure, tight fit on your favorite rifle. The quick detach feature makes the Weaver Lever-Lok 1 in. 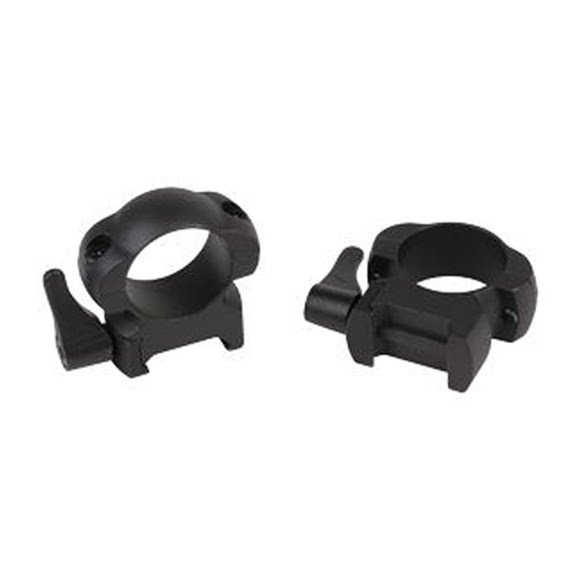 Medium Top Mount Scope Rings an ideal choice for the serious hunter on the go. This durable, reliable ring easily detaches and re-mounts without tools so you can protect your optics while traveling to your next hunt. The reliable Weaver cross lock design allows for secure, tight fit on your favorite rifle. With solid steel construction, you can rest assured that this ring will perform in the heat of the hunt.